Measuring in at over 2 meters long O. rastrosus would make a modern King (at most 1.5 m in length) look like a chum. Six and a half feet of sweet fishy flesh, it's no wonder cave bears got so jacked in the Pliocene! Amy couldn't find any diagrams comparing the size of the Saber Toothed Salmon to other salmon so instead please visualize a salmon about the same size as Bradley Cooper dressed in salmon for a semi-accurate size reconstruction. 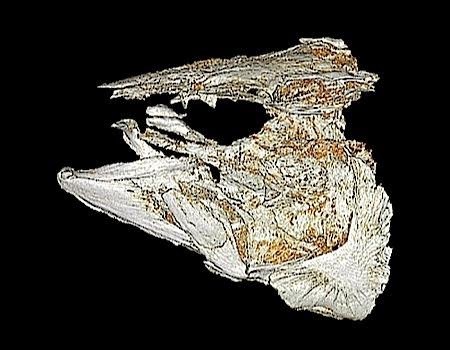 Those enormous teeth might have you convinced that this was the Great White Shark of the salmon family. But saber teeth often evolve in different lineages, and just as often are NOT used for predation. Unlike in humans, big front teeth can make an animal sexier to ladies or help fend off other males (usually buck teeth don't serve that purpose in humans). These over-sized fangs were probably used for competition among males when spawning, similar to the hook that forms in living sockeye salmon, the closest extant relative to the saber tooth salmon. 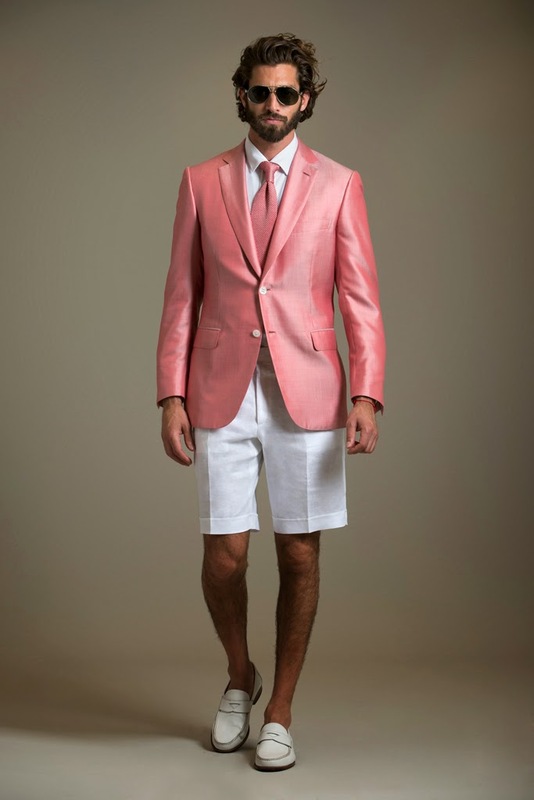 Still not buying it? 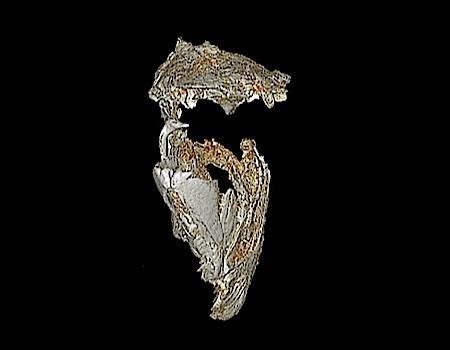 Paleontologists studying O. rastrosus have noted large gill rakers: these are projections on the gills that help strain plankton. Sabertoothed salmon were probably more like baleen whales than killer whales. 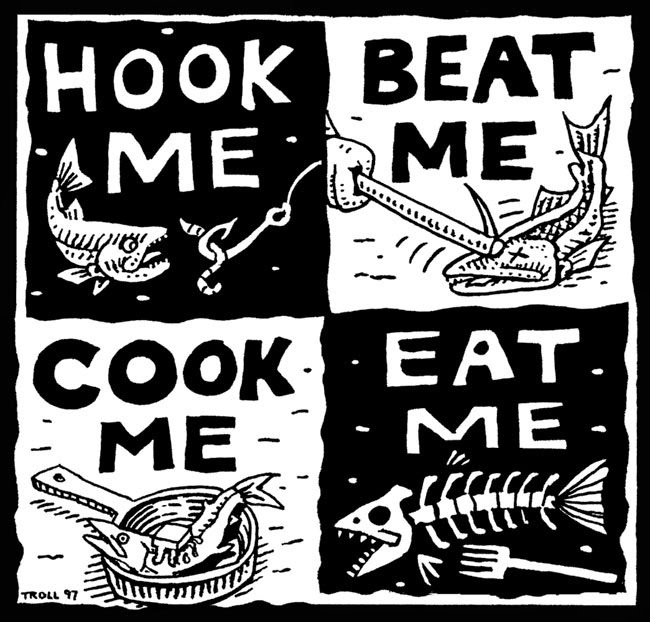 Get it on a shirt! Yeah yeah we already talked about this with Ray Troll. But it's true. And Amy is pretty hungry right now. So lets talk about how delicious it was. Non-fish folk, we're going to lay down some knowledge for you: Salmon, Trout and Steelhead are all part of the same genus as the sabertoothed salmon. They're all related, but one of the things that makes them different (taste-wise, color-wise, coolness-wise) is whether or not they are anadramous (a fancy term for "likes saltwater and freshwater"). And there is evidence that the sabertoothed salmon was anadromous! 4 out of the 5 fossil localities where O. rastrosus has been found were quite a bit inland in what must have been freshwater, despite being adapted to eat a food source more prevalent in oceans. The type specimen (featured in drawing above) was found in Jefferson County near Madras, OR and other fossils were found in Klamath County near Worden, OR. Specimens have also been recovered from California but ew, let's not focus on that. 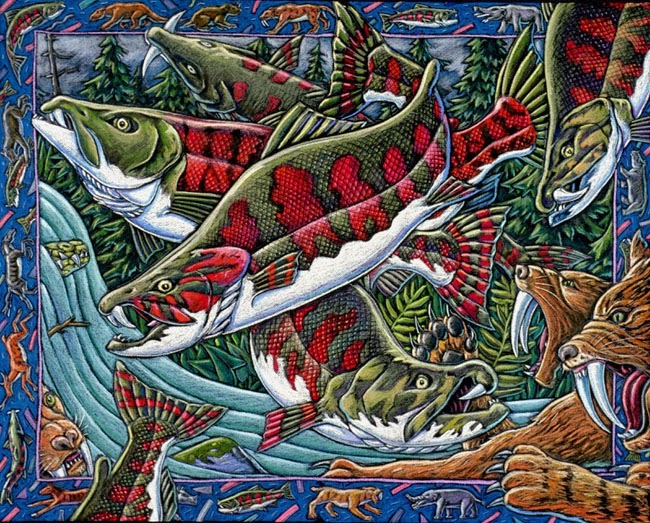 Based on stratigraphy it is known that the saber toothed salmon first appeared in the late Miocene and later died out during the Pliocene (13 - 4 million years ago) probably because (PERSONAL HYPOTHESIS AHEAD) all the other megafauna didn't fear the fangs and went a bobbin' for fish-flavored apples. 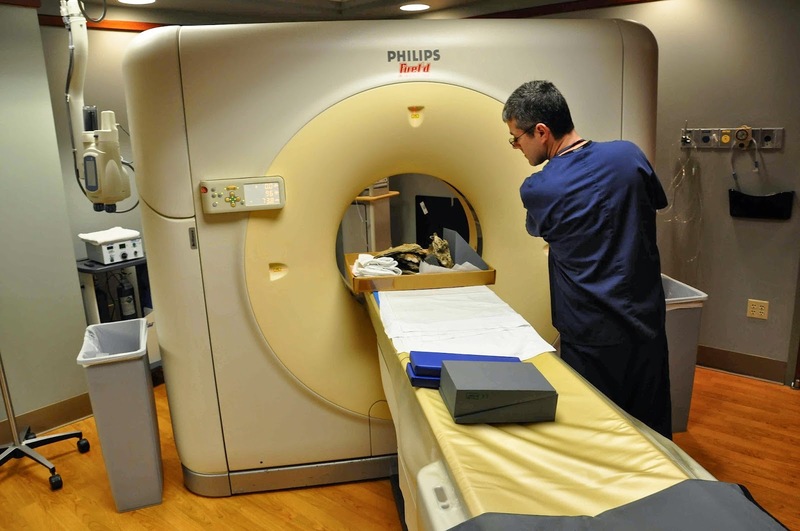 Back in 2010 Edward Davis and the UOMNCH worked with Oregon Imaging Centers to obtain 3D images of the very fragile and rare skull of this fossil. 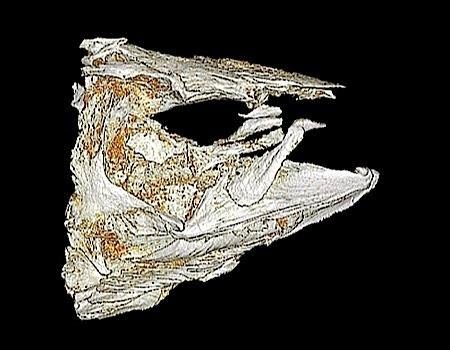 The scan gave researchers unique views into the skull of O. rastrosus that were otherwise impossible to see without damaging the delicate fish bones. 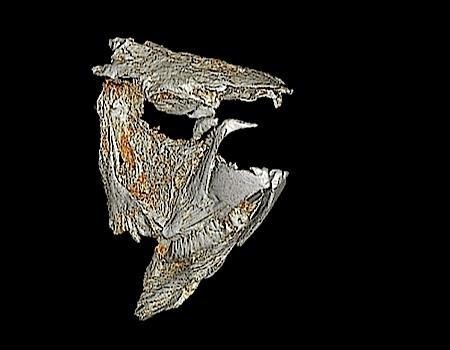 The images of this 5 million year old fish head are available online so that scientists throughout the world can marvel and study this awesome Oregon specimen. And no body, because it's just a head. And also not on America's Next Top Model. 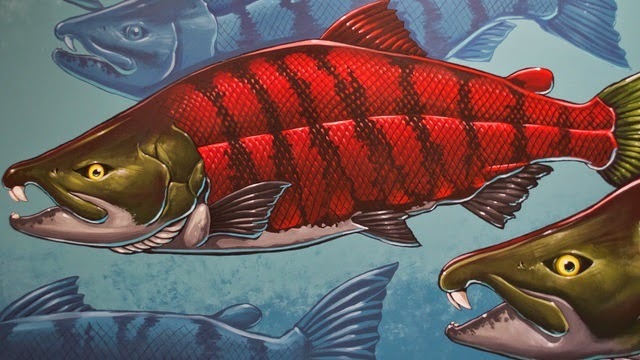 Have we convinced you that the Saber Toothed Salmon is the coolest Oregon fossil you've ever heard of?? THEN WRITE TO YOUR CONGRESSPERSON AND TELL EM' TO CHANGE THE STATE FOSSIL TO SOMETHING OTHER THAN BORING OLD METASEQUOIA, IT'S NOT EVEN EXTINCT!! Cavender, T.M., and Miller, R.R. 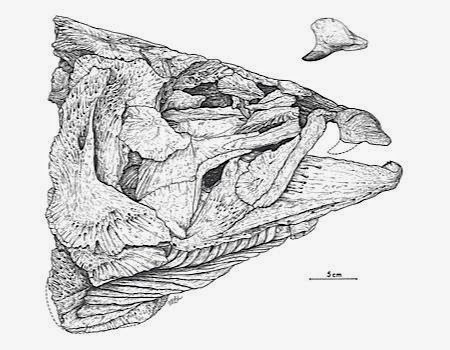 1972 Smilodonichthys rastrosus: A new Pliocene salmonid fish from western United States. 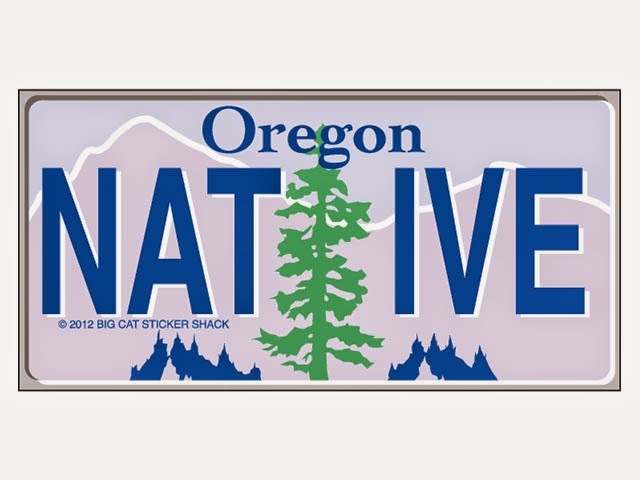 Museum of Natural History, University of Oregon, Bulletin 18:1-44. Koch, Paul L., et al. "Sr isotopic composition of hydroxyapatite from recent and fossil salmon: the record of lifetime migration and diagenesis." Earth and Planetary Science Letters 108.4 (1992): 277-287. Stearley, R. F. and Smith, G. R. 1993 Phylogeny of the Pacific trouts and salmons Oncorhynchus and genera of the family Salmonidae. Transactions of the American Fisheries Society 122:1-33.